Esteban Pallavicini, born in Argentina, discovered his passion at the age of 9 by admiring his uncle behind the bar. Because his father’s work became a nomad from early childhood, and he keeps walking and working around. At the beginning of the new century he decided to settle in Barcelona for a while and from there travel to new job opportunities. Classic since its inception, his career has evolved to different directions many times, tropical cocktails from Brazil and the Caribbean, Asian flavors, Mediterranean inspirations, Tiki lover, researcher of pre-Hispanic beverages, author creations. 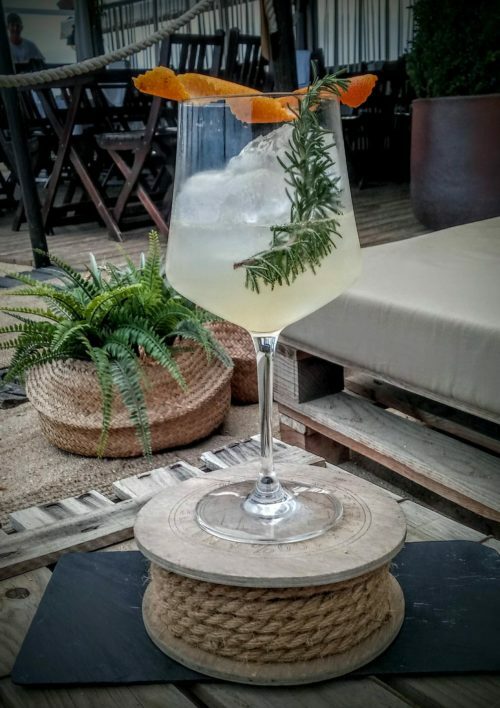 He opened a cocktail bar in Sayulita Mexico, developing a complete menu based on Km 0 ingredients. This year a Mediterranean-inspired menu has been signed for a Costa Brava beach bar. A new project, in the Frisco area, a mobile cocktail bar is in the oven, close to being ready next fall. Method: Place all the ingredients except the soda in a shaker, shake for ten seconds, place twice in a large cup full of ice cubes, add the soda and stir gently to mix well avoiding loss of carbon dioxide.